This week on the WP-Tonic podcast, our guest had to reschedule because she was sick, so Jonathan Denwood and Kim Shivler spoke about Membership Websites. In the past, the two broke down requirements for planning and implementing a WordPress Learning Management System. In this episode, they applies the same format to discuss requirements for planning and implementing a WordPress Membership Website. Our episode this week is sponsored by Kinsta Some of the best quality and value WordPress hosting on the market at the present moment Kinsta. 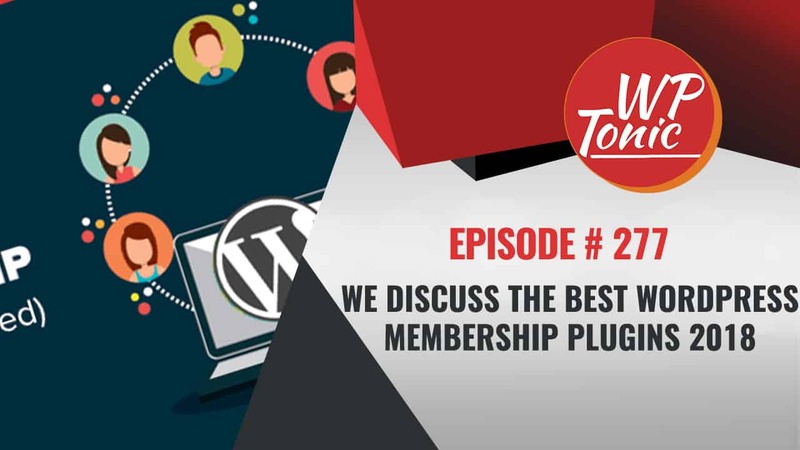 The discussion covered several popular WordPress membership plugins including MemberPress and Paid Memberships Pro pointing out the features of the different plugins and focused on the importance of proper planning to make sure you select the right plugin for your requirements. During the show, Kim warned about issues with moving from one membership plugin to another, and said you can’t migrate subscriptions. To clarify, there are times when migration is possible for users and subscriptions between plugins depending on the plugins and the specific subscription configurations. In the cases she sited, this was not possible. Absolutely. I’m Kim Shivler. I’m an Instructional Design Consultant and Technology teacher and focusing on Learning Management Systems and Membership sites. Jonathan: And she keeps me under control. Kim: That’s right. Jonathan: Exactly. And I’m the founder of WP-Tonic. We’re a WordPress maintenance and support company with a strong emphasis on Learning Management Systems and Membership websites using WordPress. And before we go into this episode, I want to quickly talk about our great sponsor Kinsta Hosting. They’re a specialized WordPress only hosting company. They’re a boutique hosting company I would say. We’ve been with them for a few months now. We host the WP-Tonic website with them. I’ve been totally blown away with their service, the speed of hosting and all the bells and whistles that I know that the Developers that are listening, that are part of our audience, that you love. And they provide all the bells and whistles that you’re looking for. All the versions of PHP. Super fast service. What more can I say? So, go to the WP-Tonic, there are affiliate links that will take you to Kinsta. If you use those for yourself or for your clients, you’ll be supporting the show. Also, give them a Twitter, say that you heard about Kinsta on the WP-Tonic site. Any of you that do that, I’ll read out the Twitters on the show. It just really shows Kinsta that there’s people listening and it makes them joyful, which is a great thing to do, isn’t it? There’s little joy sometimes you feel in this world. So if you can spread a little bit, you’ll be a joyous person, won’t you? So on to the subject Kim, Memberships with WordPress. How would you like to start off the discussion Kim? Kim: A few weeks ago or a few months ago you and I talked about this with online learning systems and I want to start in the same place and that is when you decide that you want to build a Membership site, the planning you do before you start building is the most important thing to do. This is a place where you really want to make sure that the plugin that you’re picking has the features that you need. I just went through with a client changing from a Membership site to another Membership site. Jonathan: A joyous process, isn’t it? Kim: It hurt. It hurt a lot. So, the more you can plan ahead to make sure that if you need specific, for example, memberships that don’t build on each other, somebody might buy A and B and D but not C, you’ve got to make sure your plugin does that. If you need corporate accounts where maybe you sell 30 licenses at a time and that corporation is going to manage their own sub-accounts, you’ve got to make sure that the plugin can handle it. That’s really important. You also have to dig in to, the other thing I recommend is really mapping out on paper or on your screen, whatever, the names of the memberships, planning them, etcetera. We’ve also recently gone through where someone decided to change the names of all of their memberships and that became a nightmare with linking and URL changes and that type of thing. So, the more you can plan it out ahead of time, the easier it’s going to be to implement and integrate. Jonathan: We’ve probably lost a few people at the beginning of this conversation, haven’t we? Because we’ve got a very diverse audience for this show, which I love. But I think we’re going to have to break this down a little bit, aren’t we Kim? Because I think we’ve lost a few people. But if you’ve gone through the process folks, everything that Kim said just makes total sense with you because it’s like being in the car and jumping cars when they’re both running at the same time. I don’t like this car. I’m going to jump. Imagine if they’re doing 15 miles an hour and you’re jumping one car to the other. It’s not a fun experience, is it? I’ve never done it myself and I’m at an age where I don’t plan ever to do it. But, yeah. It’s not a joyful experience. So, shall we start with, what is the one, with your experience Kim, what’s one of the one main reason why people don’t consider this a feature that comes up where they’re having to consider jumping from one Membership plugin to another? Can we start with one key area where you see this need appearing the most? Did that make sense Kim? Kim: Yes. It makes sense. And also, I’ll say, I always lose a few people when I start with the P word, the planning word, because most people don’t like to do that. Jonathan: No planning. Kim: Exactly. So, one of the very common ones that I see are some plugins are built really to have multiple levels, 1, 2, 3 levels, etcetera but they build on each other. So think about when you go to a site and there’s a silver, gold and platinum and silver is the basic and gold is everything in silver plus gold and platinum is everything in gold and silver plus platinum and they build on each other. But you can’t, in some of those cases, purchase silver and platinum but not gold. It’s all together. If that is a need you have, more of a shopping cart type option where I want these different ones, then you have to make sure that it supports that. The other one is the corporate accounts or if you’re someone, who for example, sells into a school system where the district might purchase this and then they manage the sub-accounts under it. You would need to make sure that it supports that for you also. And sometimes, honestly, it’s just ease of use. Someone saw something, they jumped in, they went ahead and installed it, they started playing with it, they found out it was a nightmare and I’m not going to name any names of products but they find out, “Oh my gosh. This is a nightmare”. Jonathan: I think if you’re up to it. Kim: No, no. Jonathan: I don’t mean to say really negative things but we’ve got to be truthful about the strengths and weaknesses of these plugins. I’m sure they’re all out there. So if you’re up for it. I just think we just need to be honest about their strengths and weaknesses. So let’s recap the two that scenarios. You’ve got your standard, premier and elite tiers and because of your business, you want people to be able, you might have a business model where they buy the standard plan and then its only got so many features in your Membership website so your business model is to do an upsell. So you want these links to be able to move from the standard to the premier. Is that the kind of scenario you’re talking about? Kim: Yes, yes. And the difference is though that some plugins, I don’t think it’s any secret, people have heard me talk about it before, MemberPress is one of my favorite Membership plugins. It can handle either of that. I have a basic and an elite or premium and people can upgrade and downgrade between the two. But I could also have a fourth offering or a third offering or another offering that maybe people just buy separately as opposed to having to be part of that elite package. It allows for much more granularity. Yes, that’s exactly what I’m talking and we want to know ahead of time if that’s going to be an option that we want. Another thing we want to consider as we’re doing that for any of this is are these going to be recurring memberships, so where it’s a recurring fee? Or is it a standard, it’s a one-time price? Sometimes people have a package that is hidden. So, therefore, it works for membership but it may just be a one-time price and it’s not going to be continually added to etcetera. If you’re going to do recurring, you’re going to have to keep creating new content. Because to get people to keep paying you month after month or year after year, you’re probably having to make a content commitment to giving them more information. Unless it is maybe a support situation, whereby paying for it, they get access to a support forum, something like that and it may not have to be what we think of as content marketing type of content but it would be support in that case. And you want to make that decision early on. Is this going to be recurring membership or is it going to be a one-time membership? Because it’s going to affect how you want to do your pricing, excuse, your payment gateways. Jonathan: The basic fact is I think at the present moment, I did a couple quite large posts but I think it was 18 months ago about Membership plugins, I’m going to have to revisit that and maybe do an update, is that when I last looked, you’re offered a choice when it comes to Membership plugins. Because I think when I looked there was over 25 in total in the repository. But I think you’ve got to look at it as an overall package. How long has the plugin? I personally, unless you’ve got a very strong Developer crew, would not use a free Membership plugin on a commercial website myself unless you’ve got a very strong development team behind you. Because if you get into difficulties, you’re a bit on your own. Would you agree with that statement? Kim: It depends. Sometimes I work with people and they really want a very basic membership, they’re doing it for a class project or something like that and frankly, Paid Memberships Pro is an excellent well-written plugin. It’s premium. Yes, if you want the support with it, if you need support, you’re going to have to pay for that. I think it’s $100 or $200 a year depending on which package you would buy. But for a basic plug it in and have it work, there are times then absolutely I would use that still as a go to. Jonathan: I think there’s like half a dozen that are really kind of in the running, aren’t they? Like I say, I think another one that’s really very popular is Restrict Content Pro from Pippin Williamson. Have you got any experience with that one? Kim: Well, interesting you say that. I’m about to have experience with that one. Again, I had looked at it, I want to say, a couple of years ago and it was missing some of the features. But they’ve really added to it and I’m actually about to do a project with it. As I’ve been playing with it, I’m excited about the functionality and of course, anything Pippin does you know has great support behind it. Jonathan: You’re just about to start to work with it, does it meet the two lead requirements that we first stated in our conversation, Kim? Kim: It does. Jonathan: All right. With your initial analysis, is there any particular functionality that took your eye that you liked about that? Kim: Actually, it came from a request. Someone came with a request that they needed help with this and when we looked at what their requirements were and checked it against it, they matched. So I’m always willing to work with something if I trust the support behind it and the features are there that the client needs. Jonathan: Now the other one we talked about was Paid Membership Pro and I’ve got a lot of experience with that because I run it on a couple of my own sites and it’s been around a few years. It’s a husband and wife team that run it. I forgot the names, unfortunately. But they’ve been around a few years now supporting and he actively develops it himself and I’m sure he’s got a small team because it’s a very popular Membership plugin and I’ve had good experiences with it. I don’t think out of the box it can do the two things we pointed out initially. It has an extensive add-on library and to get access to that library, you have to pay a yearly subscription to join their own membership where you get full support as well. But also, it’s very developer friendly. So I don’t know with the add-ons you can do the things you require or you still need an active Developer. But I think it can do a lot of things for you but you need a Developer. Would you agree with some of those statements or do you think I’m waffling, Kim? Kim: Again, for a very very simple site, I think it’s fine. As of last year, it did not do the two things I talked about and particularly the selling different levels. In fact, I started on PM Pro. That was my first membership. But when I needed to sell multiple classes that were not linked to each other and use a membership, that is actually when I moved to MemberPress and started using that for my own personal course offerings. 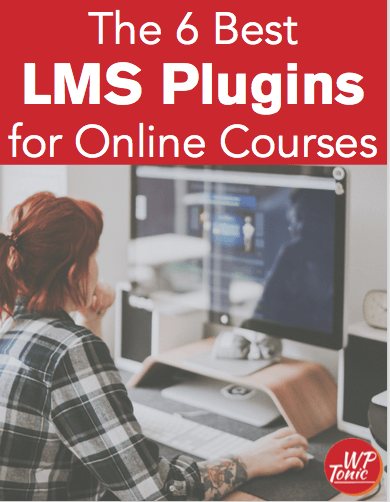 Because as we’ve talked before about online courses, I use a Membership plugin along with my LMS to build a more robust platform. Jonathan: So because you probably could do it with Paid Membership Pro but you’re going to need a lot customization and you’ve got to really make a kind of price to function call here because it’s probably going to be cheaper to go to, well, the cheapest thing is, like we started with this conversation, the cheapest scenario would be to work all this out initially, wouldn’t it? Kim: Yes. Jonathan: Otherwise, you’ve got to balance the pain of moving to another Membership plugin to getting it customized. What about, it’s a Learning Management System, does LearnDash come with its own membership or does it work with a third-party, LearnDash? Kim: It works with multiple third-parties. It works with MemberPress, it works with Restrict Content Pro, it works with Memberium, which I don’t have any experience with and I believe a few others. It does not try to include that functionality. It just works with some of the best ones out there. Jonathan: All right. And an old favorite, s2Member had a bit of a reputation. Am I correct, it was one of the first Membership plugins around, am I correct about that? Kim: I believe it was fairly early. I have not worked with it but I believe it was fairly early. Jonathan: It still comes up a lot. I think the price has something to do with that because, with unlimited sites for the Pro version, I think it’s about $190, so the price kind of attracts people. There’s still a lot of content out there. I don’t think it’s one of the main ones I would look at. Would you agree with that? Kim: I just haven’t worked with it enough to say. So, yeah. I can’t think of anything at this point that would make me leave what I have and love for it, from what I’ve seen of it but I really can’t talk to the depth of it. Jonathan: I think we’re going to go for our break folks and when we come back, we’re going to delve some more into the murky waters of Membership WordPress plugins. We’ll be back soon folks. Male Voice in Commercial: Do you want to spend more time making money online? Then use WP-Tonic as your trusted WordPress Developer partner. They will keep your WordPress website secure and up to date so you can concentrate on the things that make you money. Examples of WP-Tonic’s client services are Landing Pages, Page Layouts, Widgets, Updates, and Modifications. WP-Tonic is well known and trusted in the WordPress community. They stand behind their work with full, no question asked, 30-day money back guarantee. So don’t delay. Sign up with WP-Tonic today. That’s WP-Tonic.com. Just like the podcast. Jonathan: We’re coming back. We’ve had a bit of a chat, me and Kim. Kim’s put me right. I love it. I don’t know where I’m going to take this conversation basically. Let’s say you’re in the unfortunate scenario that you didn’t do the planning that we are recommending so much, oh, by the way, are there any kind of resources that you would recommend people go to, to give them a synopsis of what we’re talking about and some of the questions that should be in their minds? Kim: I actually have a planning guide that I usually provide to people when they work with me. We could put that in a download if you want, in the show notes. Because it lets them at least look at a lot of the questions. It may not be everything but it’s a lot of the questions along with guidance about what their decisions are. Of course, with the caveat that I haven’t worked with every single Membership plugin out there but it does. Jonathan: That would be impossible. Kim: Exactly. But it does give you the questions no matter what you’re looking at or what you have. Because one of the big things is, for example in the case that we had recently where we moved somebody, every single person who had paid had to be canceled from the other and they had to now sign up again. The way that the membership talks to Stripe, that doesn’t come across. So we had to do that. Fortunately, we didn’t have too many memberships in it. But it is important and deciding on your pricing is important. I’ve had that happen with customers where if they decide to change their pricing. Again, Stripe doesn’t let you change pricing on people for good security reasons. Jonathan: That would be a can of worms. What’s just occurred to me, I think another thing we’ve got to talk about is WooCommerce. A lot of people are going to be attracted to Memberships, aren’t they? What’s your experience about memberships and about that? Or do you think even if you’ve got one WooCommerce that you might be better off maybe looking at some of the other Membership plugins that we’ve discussed? Kim: I have worked with it minimally and part of that is because I don’t with WooCommerce anymore. When I did, my recommendation would be, if you are a Woo shop, then using Memberships together makes absolute sense. It’s the same company. You’ve got the same types of support. But, again, now that I don’t really work with it at all, I’m just straight Membership or LMS, I have lapsed in my use of it. Jonathan: It’s a difficult one because obviously the parent company automatically has got quite a bit on their plate at the present moment. So I think Memberships is probably not on their highest of their list of plugins and services which they adopted when they bought WooCommerce. It’s been a high priority on their list at the present moment folks. But on the other hand, like I agree with Kim, if you have got a large WooCommerce, it probably still is and you don’t need all the bells and whistles that we’ve talked about, back down to planning, is probably the least resistant route to go down. It really is dependent on really understanding what you need for your business model of your particular Membership site. And that takes either you bring somebody in like Kim or you just want a quick chat with me, I’m always available or you do a lot of research yourself. But you really do need to do a fair bit of research because it’s quite, I think the main thing it’s just so easy to presume that when it comes to needing this functionality that it’s just going to be there, isn’t it Kim? Kim: Yes, absolutely. And the other thing to look at, we haven’t talked about, but the other thing we have to look at are, are there any other dependencies that you have. For example, as they sign up, are you trying to put them into a mailing list and get them into a flow, from say a ConvertKit or ActiveCampaign, something like that. You need to make sure that that functionality is there and that it’s going to work the way that you want it to. That’s one I see people overlook sometimes. And then the other biggest mistake I see is, if you’re going to have recurring memberships, you absolutely want to have Stripe as your payment gateway, not PayPal because if you have any type of, kind of like we talked about earlier, if you’re going to do any type of upsell and you want people to be able to change plans, you can do that from your Membership site if it’s written right. Like for example, on MemberPress, you can automatically upgrade or downgrade within the site and it will flow through to Stripe pro rate etcetera. If you’re using PayPal, the way PayPal manages subscriptions, the way it requires subscriptions to be managed, is an actual PayPal subscription is created, it’s not managed within your Membership plugin. And therefore, for someone to upgrade or downgrade, they actually have to cancel the PayPal and start afresh, which is just asking for churn. It’s not going to be nearly as smooth as if you are using a Stripe payment gateway. Jonathan: On the other hand, a lot of people like, especially if they’re thinking of joining an online Membership website and they haven’t got a lot of, haven’t built up a relationship with that website or the people that run the website, a lot of people still like paying with PayPal, don’t they? Kim: Some do. And a lot depends on who is your audience, how well do you know your audience, that kind of thing, for how you want to do that. And you can always offer PayPal. It’s just not going to be as smooth if you have those upgrade scenarios. Jonathan: Now a couple of others that come up, Magic Members, that comes up regularly and Wishlist. That’s an oldie, isn’t it? That’s been around quite a while, isn’t it? Kim: Wishlist is definitely one of the originals. I’ve moved some people off of it. I can say that. That’s been some of the moves that we’ve done, where the customer just really wasn’t happy with it. We went through the planning and moved them into MemberPress, as it turned out for that one and they’re very very happy with that. Jonathan: All right. Is that just because there was some key functionality or was it a mixture? I’m not asking you to go into enormous detail here. Or was it a mixture of different things that were making them unhappy? Kim: It was functionality and ease of use, which is kind of interesting to say because MemberPress is actually so powerful that sometimes when I work with customers, there is a little bit of a learning curve. Yet, they jumped right in, and this is not a technical group, jumped right in and I feel like they picked it up very quickly and that they’re very satisfied. Jonathan: Had any experience with Magic Members? Kim: I’ve seen it but I’ve never had any experience with it. Jonathan: We have to get some of these people on the show and have a bit of a chat with them. Kim: That’s right. Jonathan: Chats are great. So I think we’re getting to the end. Is there any one final thing that you’d like to point out before we wrap up this episode Kim? Kim: Well, one of the things to look at and understand with a lot of these plugins is that they actually are creating WordPress users. Just as WooCommerce does when you purchase. And it’s something you need to know because you need to be prepared that there’s going to be some customer education around it. In the sense of, if somebody is already a member and then they want to buy something else and they’re trying to enter everything fresh and it’s a duplicate account, they’re going to get error messages. So you’re going to have to support your users some as far as them understanding if they’re buying something different, log in and then buy it as opposed to trying to create a new account because it is a user account. Again, we see that with WooCommerce also. And it’s a place when I work with Developers, one of the things I do is teach Developers how to do this, that’s the place that sometimes they forget that we’re going to need some consumer documentation, education here to make sure that they don’t just get frustrated and cancel. Jonathan: I think that’s a fantastic ending point really because that’s an area where a lot of people slip up on. That’s really is a great point Kim because I’ve had a few discussions around that. Right. Sorry, I’ve got a frog in my throat. I think we’ve had a good chat here. We’ve given some insights about some of things that you’ve got to keep in your mind when you’re first looking at a Membership WordPress powered Membership website. But don’t be deterred folks because one of the great things with WordPress around Membership sites is you’ve got enormous choice. You’ve got a lot of choices out there and choice is good as long as you’re educated. As long as you just don’t dive in and spend a lot of time and money on something and then find it doesn’t really work for you because that’s extremely frustrating. So listen to this podcast a bit more. We have some more resources in the coming months about all this. We’ve published, last month, a lot of new material about education and about learning management systems on the website. So if you’re looking to add a Membership website, I would suggest you go to the WP-Tonic site and have a look around the blog section and give us some feedback as well. That’s great. So, Kim, how can people find out more about you and what you’re up to Kim? Kim: They can check me out on my website kimshivler.com or find me on Twitter @kimshivler. Jonathan: And if you want to find more about WP-Tonic, go to the website. There’s a load of materials on there about the subjects that we’ve discussed in the podcast. Also, go to our Facebook page. And also, I’ve recently started a WP-Tonic group, haven’t done much with it but I will be doing more and more in the coming weeks with that. So they’re the main areas that if you want to join the discussion. And also, I almost forgot folks, go to the WP-Tonic Facebook page every Friday around [8:30] Pacific Time and you’ll be able to watch our Round Table discussion, which starts at [8:30] Pacific Standard Time every week on a Friday. It’s a great discussion. Last week’s discussion was hilarious. I had a bit of an argument with Morton from LinkedIn Learning. He put me right, didn’t he Kim? Kim: He did. Jonathan: I got very agitated a little bit, in a friendly way, didn’t I? It was hilarious, wasn’t it? I think that’s the end of my rant. I think we better wrap up this show and we’ll have hopefully a guest next week that will be more interesting, I think Kim’s been really interesting, I’m not sure about me. But we’ll have a guest hopefully next week that’s doing something interesting with WordPress. We’ll see you next week folks. Bye.